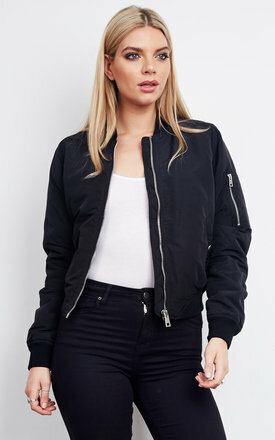 A bomber jacket is a winter essential that anyone and everyone looks fabulous in. In a gorgeous black colour, it will look gorgeous over jeans and flats or a cute dress and boot heels. Check out its twin in Ivy Green!